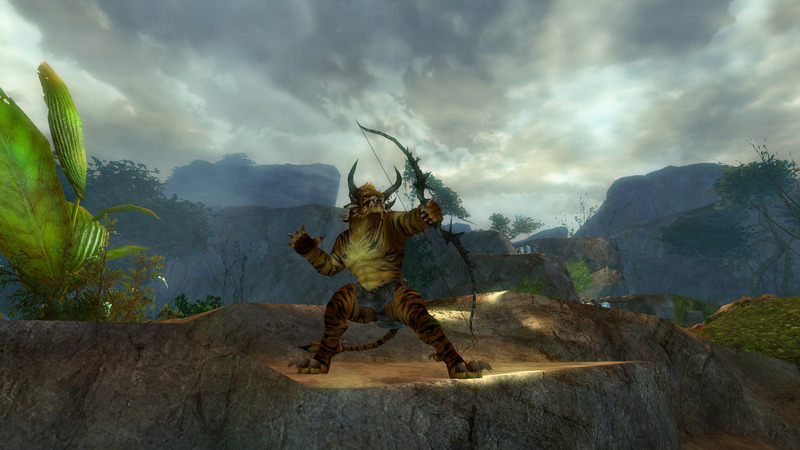 It has not escaped my notice that during the last few days of blog silence (and game playing), my most popular post getting hits has been the one about Guild Wars 2’s end game. 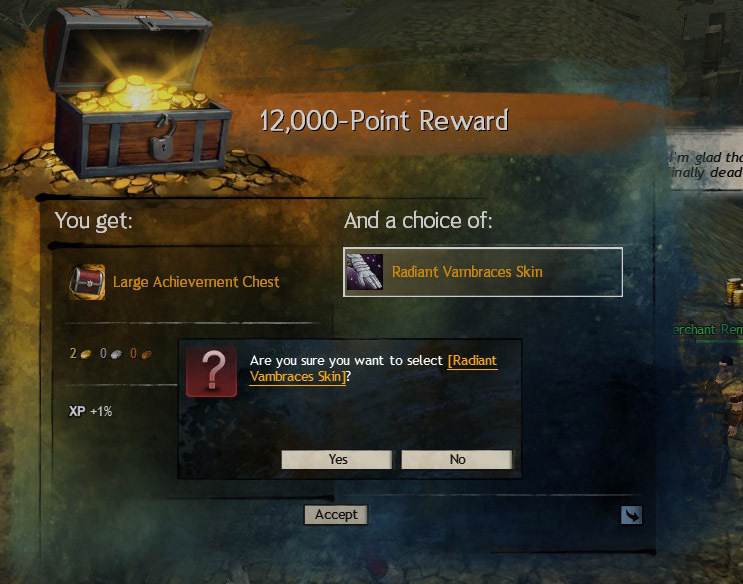 That one was a rambling little response mostly making the point about what GW2’s endgame is – a smorgasbord or tapas MMO of many lateral progression options once you pass a certain baseline on the vertical progression ladder. If you’re not fundamentally comfortable with that, you need to go play another game that is more familiar to you and gives you only one linear ladder to climb so that you can feel special about your “accomplishments” which mostly seem to involve the expenditure of time and perhaps how well you can execute a certain move. Reddit is a great source of ideas, as it’s got a huge cross section of variously motivated players reading and contributing to it. Clothes? I don’t need no stinking clothes to look pretty! If you’re just interested in hearing about the way I play, then read on. My voluntarily chosen over-arcing goal is achievements, but not in any kind of maniacal, obliged to win a leaderboard kind of manner. I tend to just use them as ideas or suggestions for things I could be doing. I’m perfectly happy to let, say, the last two jumping puzzles sit undone because I haven’t been in the mood to do them yet. Or a bunch of posters and books in Ebonhawke and mariner plaques that I’ll get to, someday, when I want to have an easy immersive experience. But maybe the next goal that pops up on the summary is 971/1000 trolls and I go, hmm, I can kill 29 trolls today. Hmm, where are there nice and easy trolls to kill? I don’t wiki because I like to remember these things as esoteric MMO trivia. I remember seeing trolls in Bloodtide Coast, but I think, nah, too high a level, it’s gonna be a pain to kill 29 of those. I think lower, and remember seeing a champion troll in Caledon Forest. Aha, surely there must be smaller minion trolls nearby. Sure enough, there are a bunch. Ding, achievement get. I do tend to attack the time-limited achievements first, because you know, they are time-limited. 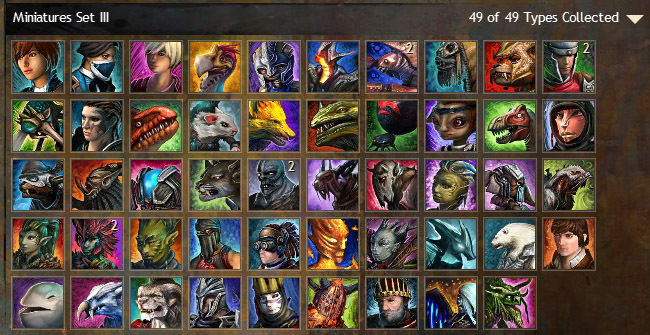 This has led to some occasional QQ when striving to reach the quantity required by an achievement ends up taking up 100% of my current available playing time, but ArenaNet has been getting a LOT better on this front and giving more moderate sized ones. Every day when I log on, I check the daily achievements tab and pick and choose. If I tried to complete all of them, I’d go crazy in short order, but hey, some people do. I highlight on the tracker all the ones I wouldn’t mind doing, then try to knock out a bunch with one stone. Maguuma killer, veteran killer, gatherer? Ok, off to Mount Maelstrom to slaughter a bunch of things, grab some easy veterans and harvest stuff then. Once it hits 5/5, I tend to stop there and leave the rest of the highlighted ones as extras that I might do if I have more time that day. If not, whatever. The Living Story tab gets checked next to see if there’s anything that I want to work on or knock out. I admit to being voluntarily completist on this one. 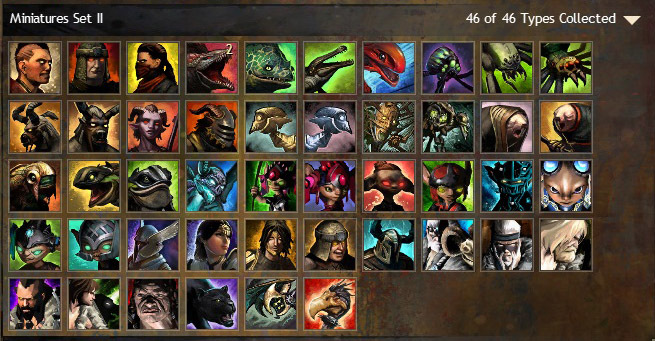 Many are content just reaching the meta-achievement. My minigame challenge is to do all the non-infinite ones if at all possible. Minis are my other voluntarily chosen vice. Again, I’m not completist about this. The prices of exotics are crippling. I spit on any ugly gem store ones. (Ones I find cute, I might consider $10 for if I haven’t spend my month’s budget of $10-20 already, or convert gold to gems.) But I did start by picking up all the blues and greens since they were cheap, and as time wore on, I found I could earn enough spending money to buy rare minis sporadically. And ever since I managed the initially-viewed-as-insane goal of 225 dolyaks slapped in 7 weeks by working on it slowly 5-10 dolyaks a day, I’ve become a little more open to the idea about long to medium-term goals by chewing away at them in chunks per day. Being able to afford an exotic mini falls under an idea like that. The thing costs 50 gold? Well, if I earned 10 gold a day, I might be able to afford it in five days. Yeah, right. The amount of dungeons I’d have to run in a day to do that would make me slit my wrists in a hurry. Not sustainable for me. But I could probably earn 5 gold a day. Aim for two CoF and two AC runs (maybe only get half of that done in reality), sell some gathered materials and rares, that would work. 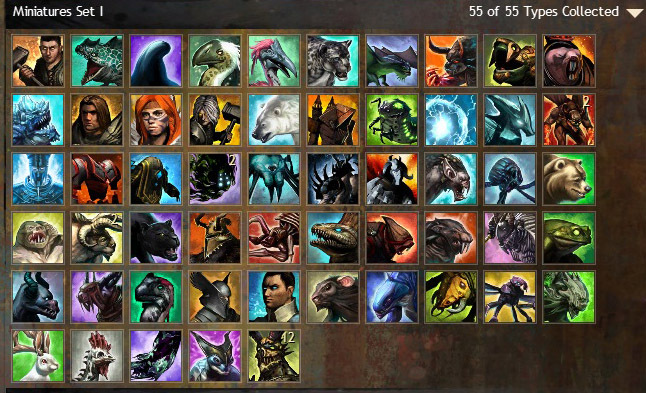 The other thing that has caught my current fancy is the possibility of getting the dolyak finisher before they do their drastic revamp of PvP and remove ’em. Being that I was only rank 11 yesterday (2785/4000), I sat down to calculate the exact number of points this would take and how achievable it might possibly be. Turns out, one is aiming for 36, 715 more points. Oh god, was pretty much my reaction. However, at an average of 160 points per match, assuming the PvP ideal of one match won and one match lost (minus some fudging for the preponderence of stacking, and plus some for the ability to nab more points by hitting top whatevers in a certain category or volunteering to autobalance), it turns out that I “only” have to attend around 230 hotjoins. That’s like 225 dolyaks, ain’t it?! At 5-6 matches a day, one should be done in about 46 days, or 6.5 weeks. Sort of like the timeframe of a WvW league, eh? That should keep me occupied until the next Scarlet patch. Who knows, if I actually improve enough, I might get brave enough to join a solo queue some day. 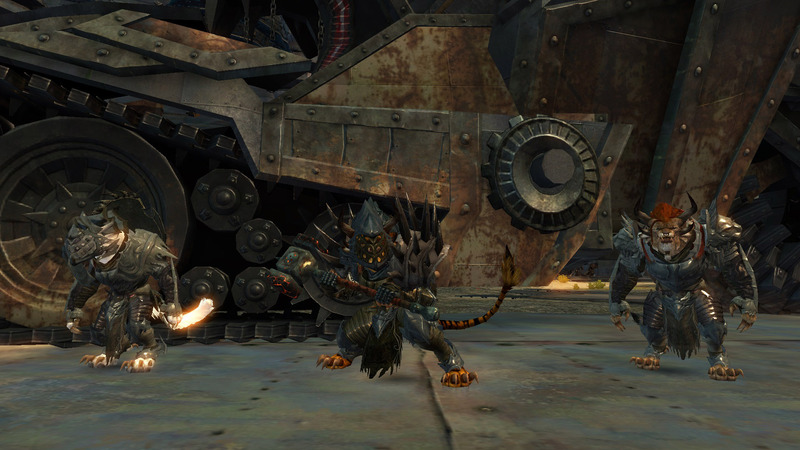 Or there’s always Wintersday in WvW. If you’ve actually read this far, thanks. I’d suggest that to get the most enjoyment out of GW2, one has to take the time to decide and narrow down a couple of goals for your playtime. This may be something as relaxed as “have fun and go where the wind and my guildies take me” or something structured like having some short, medium and long-term goals that you’d be happy accomplishing. Or something as personal and meaningful as taking your own collection of memorable screenshots or roleplaying. Point is, you do actually have to decide on something, and let other things be. For a while, at least. And if you have to, switch games. It’s okay. 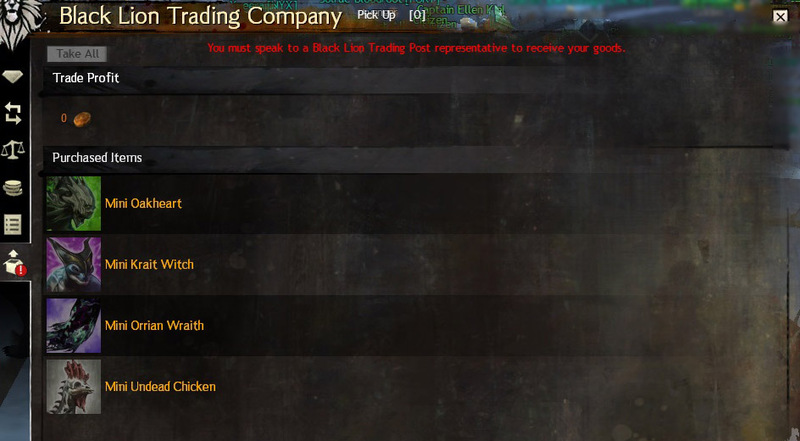 You’re not paying a dime while you’re not playing GW2. There’s tons of other games out there. You can come back if and when it ever interests you again.